This tour includes many of China’s most iconic sights and experiences and then taps into China’s rich musical tradition, giving students unique opportunities to watch and perform music throughout. Stopping at both of China’s most vibrant cities, Beijing and Shanghai, students will be interacting with fellow local students as well as musical professionals from across the country. Whether trying out classical Chinese instruments for the first time or playing in front of appreciative audiences, there is musical inspiration at every turn. Our school trips are completely customizable and can be tailored to meet your requirements. Speak to a specialist now to find out which additional destinations and itineraries are available for this trip. *Prices based on groups of 20 students with 2 free teacher spots. Arrive and transfer into the city, check in to accommodation. Students will be led on a guided tour through Beijing’s Hutongs – the old but well-preserved alleyways that have served as local neighborhoods since the 1200s. (Want to go deeper? Ask our specialist about our Hutongs worksheet). In preparation for the Peking Opera the next night, participate in a Peking Opera mask painting workshop. In the evening, students will go to a welcome dinner where we will have our trip briefing about what to expect during their time in China. In the morning, we go back in time as we travel to a secluded and incredibly beautiful section of the Great Wall while avoiding the crowds. 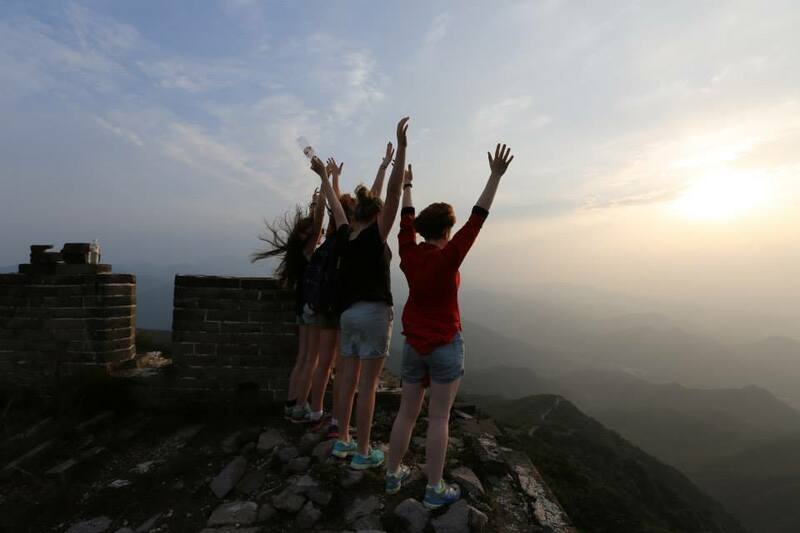 Students will go on a hike whilst learning about the how the Great Wall has influenced China historically & geographically. Upon returning to the city we finish the evening with a magical Peking Opera performance. In the morning, students pass through Tiananmen Square – a politically and historically significant site – and enter the Forbidden City. As the world’s largest Imperial Palace, the Forbidden City is filled with the homes and offices of those who governed the middle kingdom. Our guides walk students through imperial life and the political upheavals that took place within its walls. After lunch we move to Jingshan Park for a panoramic view of no less than three Unesco World Heritage sites. Then, students will have a Chinese music lesson with trained musicians learning to play instruments such as the Erhu, Pipa and Guzheng. (Already know which instrument you’d like to learn? Let us know in advance). We start the day with a visit to The Giant Egg, otherwise known as The National Centre for the Performing Arts. 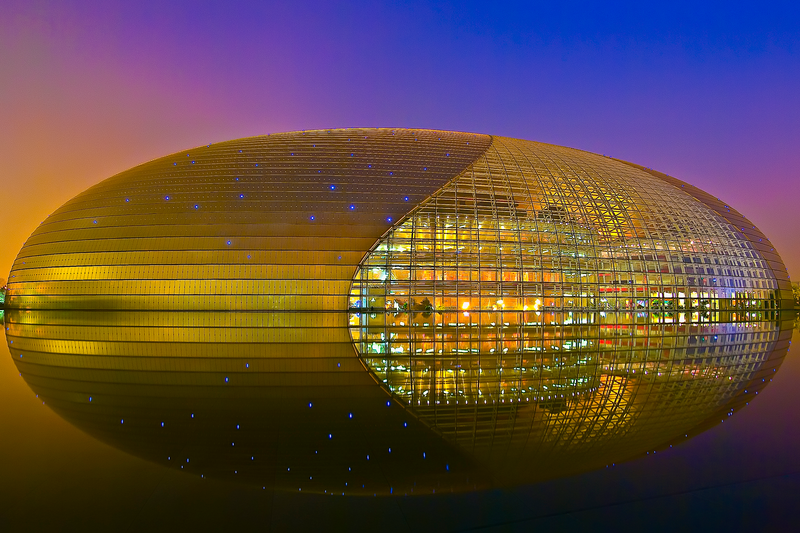 Sat atop an artificial lake and plated over with glass and titanium, this gargantuan hall is symbolic of China’s commitment to the performing arts. Afterwards, students will be performing their music outdoors, at the Temple of Heaven park. In the afternoon, we switch gears and participate in a Kungfu lesson. Afterwards, students will relax with some sightseeing at the Temple of Heaven where the Emperor participated in religious rites. After the tour, students engage in a traditional tea ceremony. Then, it’s all aboard a night train to China’s economic powerhouse – Shanghai. 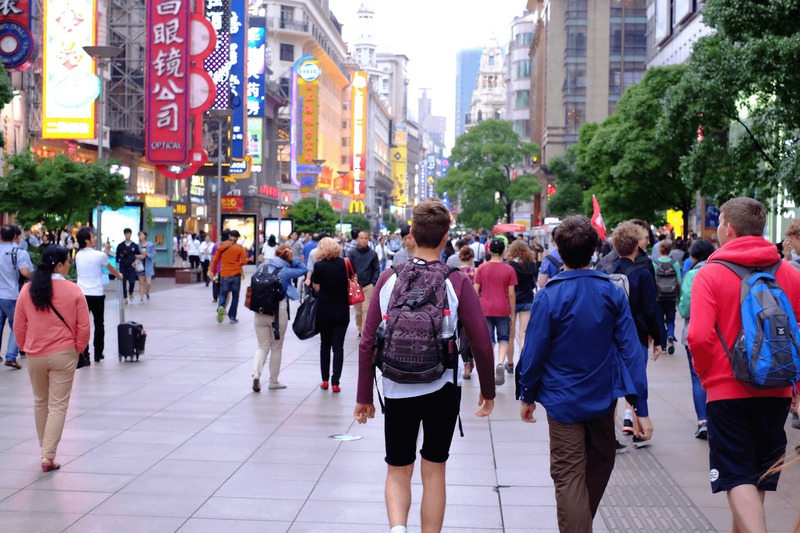 Students go on a walking tour of People’s Square & Nanjing Road where one million people shop every day and upwards of a billion RMB (1,000,000,000,000) changes hands. Then, for lunch, we tuck into Shanghai’s famous Xiao Long Bao dumplings. Then, students visit Old Shanghai to visit the Yu Yuan Gardens and the nearby City God Temple Bazaar to see the local markets in action. Today students will be doing a whole day school exchange at a Chinese school, specially matched to meet your educational interests (let us know what they are). Typically, this involves a school tour, joining some lessons, eating lunch together and participating in other various activities alongside Chinese students. On this day, the school will perform a musical piece for the welcoming ceremony and our students are also expected to prepare a piece for the visit before arriving in China (don’t know what to prepare? Ask us). Finally, we close the evening with China’s best circus act; the spectacular ERA acrobatic and theatrical performance. We catch a morning show from the Shanghai Symphony Orchestra at the Shanghai Concert Hall or The Jing’an Hotel. Next, we tour Shanghai’s dramatic financial districts, Lujiazui, and head to the top of the Pearl Tower. On our final evening, we celebrate China-style with what is arguably the nation’s most popular leisure activity; a night of KTV (karaoke in a private room with a private sound system). We say goodbye to our guides and trip leaders and transfer to the airport to apply what we’ve learned back at home. Learn the basics of how to play one Chinese instrument. Appreciate Chinese music in different genres ranging from ancient acoustics, to modern electronic. Improve communication skills as students participate in a music exchange with a local school. © 2018 The Learning Adventure. All Rights Reserved. The Learning Adventure is a part of The Dragon Trip PTE LTD.